SolaRoad is a road surface that you can not only drive on but that produces renewable energy too. 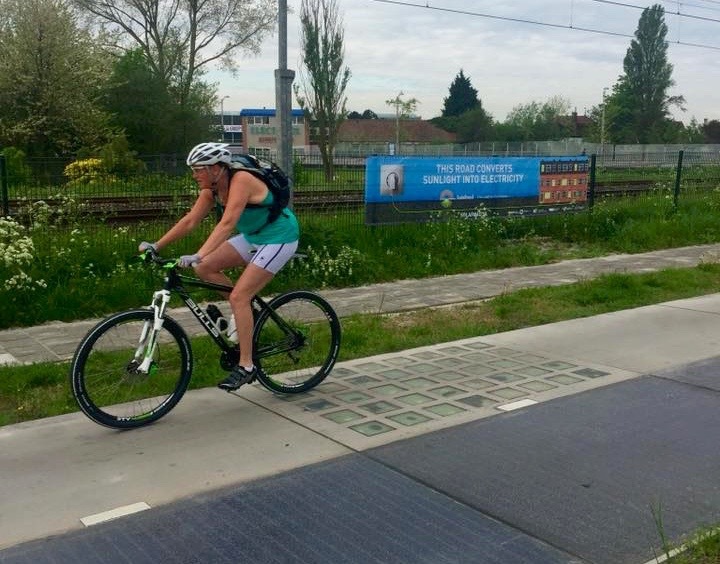 A couple of years ago, this innovation from TNO, Province of Noord Holland, Strukton Civiel and Dynniq was merely a good idea but now the system is ready for the market – certainly since the SolaRoad Kit has made applications in infrastructure so quick and easy. A SolaRoad Kit in a bike path in France is already supplying electricity for the lighting at a roundabout.